The last date to apply online for SSC CGL 2017 has now been extended to 19th June, 2017. Earlier the last date for online application was 16th June, 2017. Staff Selection Commission has rolled out a notice for the extension of the last date to apply. The change in schedule is due to technical problems faced by candidates in filling on-line application forms during the last two days. 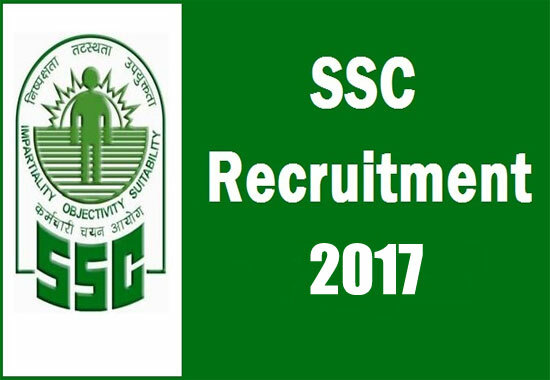 The recruitment notification for SSC CGL 2017 has been finally released by Staff Selection Committee of India. Tier-I exam of SSC CGL 2017 will be conducted from 1st August 2017 to 20th August 2017. SSC CGL 2017 Tier-II exam is due on 10th and 11th November 2017. The official notification was released by Staff Selection Commission on 16th of May, 2017. According to the notification released, a total of 4733 vacancies is to be filled by SSC CGL 2017 exam. It’s never too late to start, therefore gear yourself up for extensive preparation for this exam. 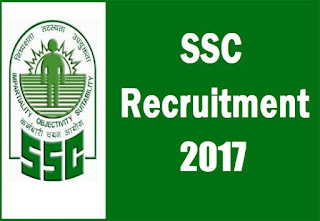 Candidates are required to visit this site regularly for further updates from Staff Selection Commission of India. The Central Government has announced that they will hire as many as 2.2 Lakh people from March, 2015. Out of these a maximum of 70,000 vacancies, will be created in Income Tax, Excise and Customs Department. Approximately 14 lac candidates appear for the SSC CGL exam every year. The SSC CGL Exam 2016 had an initial count of 4500 to 5000 vacancies. However, the number of vacancies was increased to 9000 later. For 2017 CGL Exam, the number of vacancies as declared by Staff Service Commission of India is 4733, given a slew of hiring in Income Tax Department and the Excise Deparrtment of India. • Reduction in time limit for examination of Tier -I from 75 minutes to 60 minutes. • The exam duration is 80 minutes for candidates who are visually handicapped. 2. CPT (Computer Proficiency Test):The Commission will hold CPT, comprising three modules - Word Processing, Spread Sheet and Generation of Slides, for applicants for the post of Assistants of CSS(Assistant), MEA(Assistant), Inspector (Central Excise) [CBEC], Inspector (Preventive officer)[CBEC] & Inspector (Examiner)[CBEC]. CPT will be of a qualifying nature.